Since I graduated from university in 2006 I have been working in different positions. I was a teacher at secondary school from July 2006 - August 2006. I then worked as Head of Public Relations at a rural woreda (district/local administration) with a population of 700, from September 2007- June 2008. 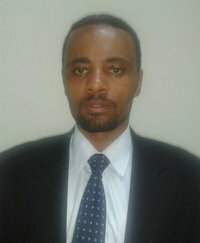 I have been working as a diplomat at the Ministry of Foreign Affairs since July 2008 till present. How much did you plan your current tasks to be as they are today and how much did your leave to chance? I am strongly committed to working in a manner which shows high capacity keeping modernisation and efficiency in mind. Furthermore, I wish to meet the interests of my country and my people. It is my personal dream to contribute to world development and integration through international diplomacy. When working in international diplomacy and trying to influence an international agenda the main challenge is the difference between local practices and international practices. Another factor is that the gap in economic progress between developed and developing countries is great. One of the most pleasant work memories is my time with Training for International Diplomats. I especially enjoyed the seminars we had on International Public Speaking, German and European history, International Law & Human Rights, UN Reforms and International Negotiations, not forgetting the great city tours!